A rechargeable power source, replacing the DNV battery holder, includes two batteries and one charger. Continuous operation time of digital night vision devices and thermal imagers when used with external power sources is several times longer when compared to operation time on a set of batteries. 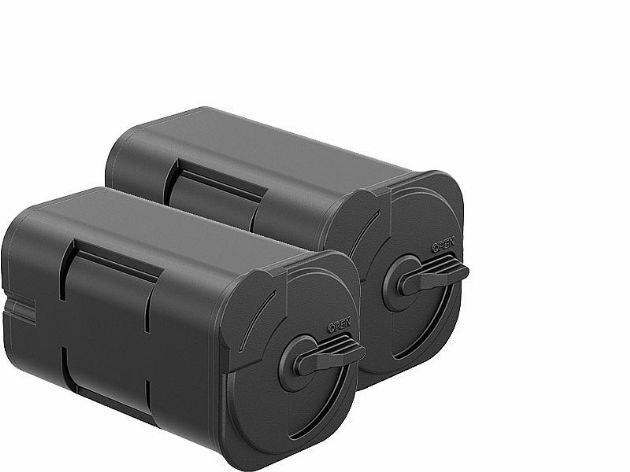 Pulsar DNV Double Battery Pack has dimensions are designed to match that of the DNV Battery Pack but a greater performance due to increased number of battery packs. Pulsar DNV Double Battery Pack features the absence of cable connections which eliminates the risk of contact loss due to cable falling off.